Mindfulness meditation is not only a growing practice in Western countries, but has been widely recommended by health experts and fellow anxiety sufferers alike in dealing with stress and mental health issues. The only problems with meditation for anxiety are people with anxiety find it hard to meditate and some who managed to do so gave up few weeks into the practice. That’s not really surprising considering the mental state that you’re going through in anxiety. With millions of restless thoughts rushing through in seconds and expecting mindfulness meditation to provide the immediate calming effect, it’s only natural that you end up in frustration. Mindfulness meditation is like a planting a seed where you’ll barely notice the difference it made but cultivated over time, strengthen your mind in ways you could never comprehend. If you’ve been struggling with mindfulness meditation, or about to start practicing because you heard it’s good in dealing with anxiety, I hope you can read this article to the end. It will probably save you the frustration on starting on the wrong foot and giving up a practice that will be beneficial to not only our mental health but other aspects of your life in the future. The word mindfulness is derived from the word ‘Sati“, an ancient Pali word widely used in Buddhism. The problem with understanding mindfulness in the modern English language is we only focus on the definition of being attentive in the present. A misconception among beginners is the notion that one must focus all their attention on the present and any slip of thoughts and worries destroy the moment of mindfulness. This is not particularly true, as mindfulness also reflects the non-judgmental aspect of our consciousness. This is what I personally view as critical in coping with anxieties. The thing is, it is easy to focus our attention on the present, but it takes hours of consistent practice to develop a non-judgmental mind and disassociate emotional reactions from negative thoughts. Most beginners gave up before they develop this mental habit. If you need any examples of mindfulness in daily life, check out Mrs. Mindfulness’ blog here. I’ve got to be blunt here. 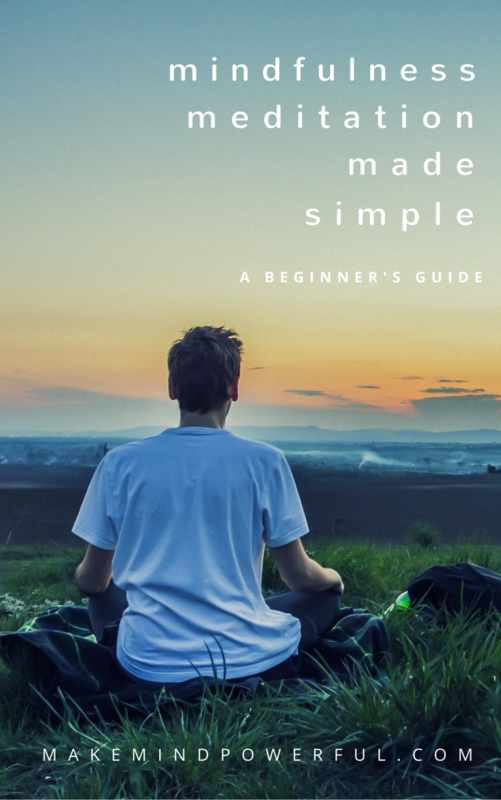 I’ve seen so many beginners checking out meditation articles online and end up with one of the most misguided instruction, “Clear your mind of all thoughts” or “Empty your mind“. I’ve mentioned countless times that it can’t possibly happen when you’re still breathing and alive. This opinion is also shared by various meditation teachers and experts alike. The goal of mindfulness is never about emptying your mind like a blank canvas. 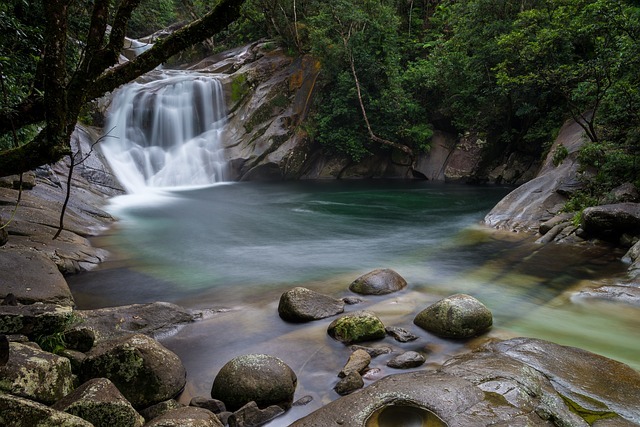 Imagine your thoughts like a stream with an endless flow of water. What happens if you insist on putting a huge boulder in the stream, hoping to block waters from flowing? The stream would eventually overflow and eventually pushes the boulder off. Attempting to block of thoughts often backfire when the mental pressure builds up. So what do you do when you can’t stop thoughts? The idea of mindfulness meditation for anxiety is not about stopping your thoughts. But learning to let the thoughts flow naturally without being judgmental and attachment. In short, you stop providing energy to negative thoughts that could cause a vicious endless cycle of anxiety. I may be straying off topic but I do strongly believe that thoughts are a form of energy. Check out this interesting article for the relation of thoughts and physical energy. I’ve always pictured mindfulness meditation as going to the gym to build the perfect abs. Everyone wants to have the perfect abs. But few would go through the strict discipline of consistent diet and workout to achieve that result. The same can be said about mindfulness meditation. Most practitioners crave the calm and blissful relaxation that meditation promises but mistaken the initial practice as a sign of lack of progress. Here’s the reality. Anxiety, or not, beginners will spend the first few weeks of meditation session lost in wandering thoughts and bringing back their attention to their breathing. If you’re lucky, you’ll get a glimpse of the blissfulness before being distracted again. Without a guiding meditation teacher, you’ll be tempted to give up because you’re convinced that meditation could not relax your mind. If there’s anything that you can get out of this article when you’ve read this far, is that you are being made aware of the nature of your wandering mind, you are one step closer to developing the ability to calm the mind. As your mind accustomed itself to the new habit of bringing itself back to the present from wandering thoughts, it will wander lesser as you continue the practice, and stay in the present more often. That’s when you’ll feel calm and relaxed. People with anxiety tend to over-worry in their daily life, sometimes to the extent of crippling their daily activity. That said, it’s healthy to have worries, even if you have managed to overcome your anxiety. Mindfulness helps in identifying and separating valid worrying thoughts from exaggerated worries that your mind is cooking up. Losing a job and worrying about your finances is normal. But letting it spiral to thoughts of permanent financial disaster that you could never recover is a sign of high anxiety. As you develop mindfulness in meditation practice, you’ll start to notice the gap between your thoughts and the ability to dismiss unfounded worries before they build up in momentum. Again, don’t get disheartened if you are not able to be consistently mindful. It takes years for someone to build up a strong and attentive mind. Although it takes longer than methods like hypnosis to show positive results, it is one method that does not rely on any external mechanism. If you’re having problems practicing mindfulness to manage your anxiety issues, do check out Aware, a meditation app geared towards anxiety that I’ve personally tried here. Have you struggled with mindfulness meditation in your battle against anxiety? Share your stories at the comment below. If you think this article can benefit someone you know, please share it around. I often suffer from anxiety, thought it is not natural but rather caused by life events. I never tried meditation. I always wanted to try to see if it would help me. I know it won’t be any magic wand to make my problems go away. The part where it says “stop clearing your mind”, I agree, our minds are not computers and nothing can delete things completely from our minds. Thanks for reading my post. I’m glad you have a realistic expectation on meditation. Oh, I absolutely love this post!! I am going to bookmark this and keep coming back to your page! I have horrid anxiety and have been thinking about looking into meditation and this post just spoke to me! I love all your ideas on this. I have a small child, nearly two, very loud, rambunctious lil guy and sometimes it starts to trigger my anxiety because I have an over-sensory issue. Do you have any tips around my situation? Also, do you like incorporating essential oils into your meditation sessions? I’m an avid believer in them, and some blends will almost completely erase my anxiety and I would love to see how well they work in combination with meditation. Thanks for checking out my post. I have a son who used to demand a lot of attention. It’s hard to be working on other stuff when taking care of my son. So I just decided to give him undivided attention and work on my stuff after he’s asleep or playing on his own. This post may help you as well. I don’t use essential oils but I do believe in their effectiveness. My anxiety can become overwhelming and I don’t know how to handle them. I tried clearing my thoughts as you said but my thoughts still go through no matter what. It’s getting better though because I tend to think about what the worst case scenario can be, and regardless, it will be okay you just have to learn, let go and move on. Thanks for sharing your story here. Do try out mindfulness practice. It’s a good practice to cultivate. This is a very helpful post! I love that you have explained why it is impossible to “clear your mind”. I struggled with this notion for quite some time and even gave up on meditating for a while because I thought that I couldn’t do it because I could not clear my mind of all thoughts. It is also a very important point you have made about disassociating our emotional reactions to negative thoughts. This truly does take practice but is so worth it! I’m glad that you finally realize that meditation is not about ‘clearing your mind’. I am not an anxious person but I’ve heard that there are a lot of benefits to meditation, any kind. I’ve heard there are several types. I, myself, have tried to meditate but can’t seem to find a place without interruption. Tried it right before bed but promptly went to sleep. Yes. There are several type of meditations. Some people find it best to meditate when they wake up in the morning. Perhaps you can try that too. Anxiety is definitely something that I have been dealing with for a long time. I have tried various psychology techniques to try and overcome anxiety, and it has helped me a lot. One thing I haven’t tried, is meditation. 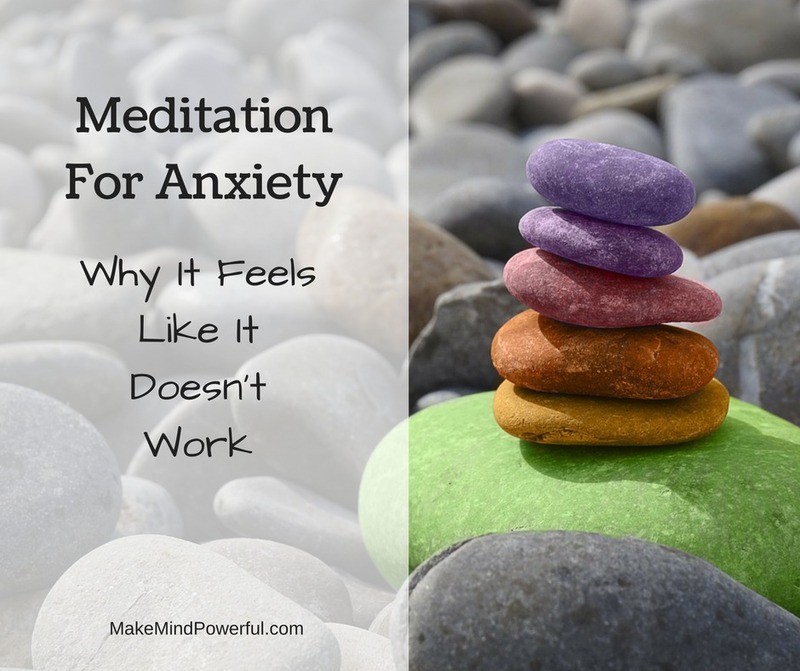 It’s a good thing that this post explains the concept of meditation for anxiety in a very detailed manner. I will definitely refer back to this article in the future, when I am ready to try meditation. I’m glad that you found this article helpful.